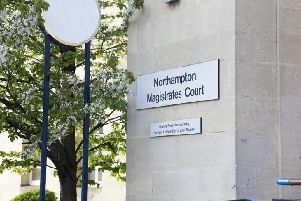 A police operation to crack down on foreign criminals targeted Northamptonshire brothels and car washes. Operation Trivium saw 14 people were arrested for a range of crimes, including European Arrest Warrants, deportation orders or being wanted in connection with other offences. There were also 12 foreign national vehicles seized due to various traffic offences, including failing to register the vehicle and not having any road tax or insurance. Eight safeguarding visits were carried out at car washes, a line of business which is has been strongly linked with slavery and human trafficking. And six safeguarding visits were made to suspected brothels. Sgt Ash Turner, from Northamptonshire Police’s intelligence unit, who led the operation. said: “We made it clear that justice has no borders. “We executed a number of European Arrest Warrants and enforced ‘deportation orders,’ resulting in a number of foreign national criminals being deported back to their own countries to face their own judicial system.